The UC San Diego researchers and faculty affiliated with our collaborative projects and programs represent a wide range of interdisciplinary domain, data science methods and technology expertise. 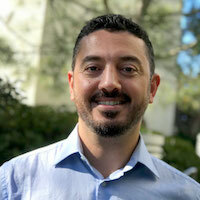 Ilkay Altintas is the SDSC’s Chief Data Science Officer and the founder and director for the Workflows for Data Science (WorDS) Center of Excellence. Since joining SDSC in 2001, Altintas has worked on different aspects of scientific workflows as a principal investigator and in other leadership roles across a wide range of cross-disciplinary NSF, DOE, NIH, and Moore Foundation projects. 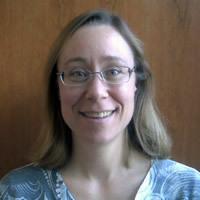 She is a co-initiator of and an active contributor to the popular open-source Kepler Scientific Workflow System, and co-author of publications related to computational data science and e-Sciences at the intersection of scientific workflows, distributed computing, bioinformatics, conceptual data querying, and software modeling. 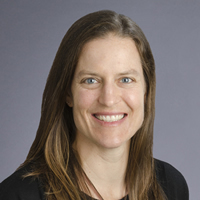 Lead, Performance Analysis: Laura Carrington, Ph.D.
Laura Carrington is an expert in performance and power analysis in High Performance Computing (HPC). Her work has resulted in over 60 publications in HPC benchmarking, workload analysis, application performance modeling, analysis of accelerators (i.e. FPGAs and GPUs) for scientific workloads, tools in performance analysis (i.e. processor and network simulators), and energy-efficient computing. At UC San Diego, she is the director of the Performance, Modeling, and Characterization (PMaC) Lab. 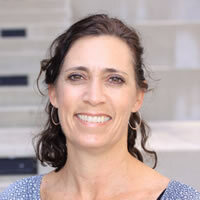 She is also the UC San Diego PI for Institute for Sustained Performance, Energy, and Resilience (SUPER) DoE SciDAC-3 and lead for the energy efficiency thrust for the institute as well as PI on a number other awards that support the lab. She has presented at numerous invited talks, member of various panels and committees, and recipient of Intel Parallel Computing Center Award. 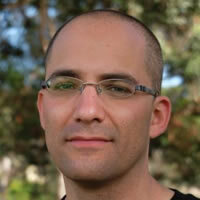 Lead, Match Point: Yoav Freund, Ph.D.
Yoav Freund is a professor of computer science at the UC San Diego, with a focus on machine learning, probability theory, and related fields and applications. Freund is recognized for his work on the AdaBoost algorithm, used to combine many "weak" learning machines to create a more robust one. He received the Gödel prize in 2003 for his work on AdaBoost with Robert Schapire. Lead, Data Platforms & Technologies: Amarnath Gupta, Ph.D.
Amarnath Gupta is a full Research Scientist at the San Diego Supercomputer Center and leads SDSC’s Advanced Query Processing Lab. 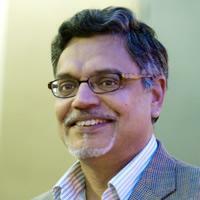 Gupta also is Co-Principal Investigator for the Neuroscience Information Framework (NIF) project, at Calit2. 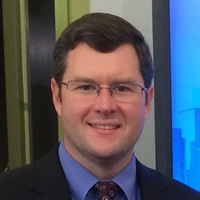 His primary areas of research include semantic information integration, large-scale graph databases, ontology management, event data management, and query processing techniques. 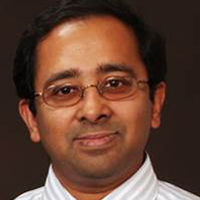 Gupta has authored over 100 papers and a book on Event Modeling, holds 13 patents and is a recipient of the 2011 ACM Distinguished Scientist award. 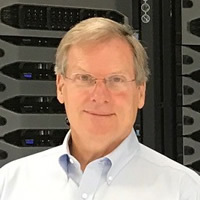 Ron Hawkins is the director of industry relations at UC San Diego’s San Diego Supercomputer Center, where he is responsible for developing industry partnerships and research collaborations in high-performance computing. 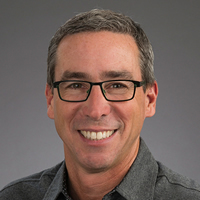 Hawkins is a technology industry veteran, having held VP-level management, engineering, and product development positions at companies such as SONY, SAIC, and Titan. His technology background and interests include high-performance and cloud computing, data-intensive systems, microelectronics, embedded and real-time systems, and systems engineering/integration. Christine Kirkpatrick is Executive Director for the National Data Service, splitting her time between the National Center for Supercomputing Applications (NCSA) and the San Diego Supercomputer Center, where she also holds the post as Division Director for IT Systems & Services. 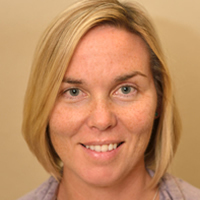 Christine is also Deputy Director and co-PI for the NSF-funded West Big Data Innovation Hub. 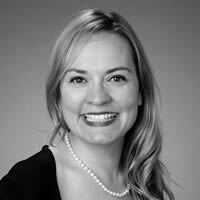 She specializes in enterprise architectures, integrations and implementation of large-scale storage, cloud and computational resources. A pioneer in web-based instruction, she has extensive online teaching experience coupled with expertise in developing the associated technologies needed for effective online teaching. She holds a master’s degree in Architecture-based Enterprise Systems Engineering Leadership from UC San Diego’s Jacobs School of Engineering. She joined UC San Diego in 1996 and has been with SDSC since 2012. 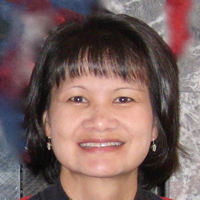 Lead, Analytics: Mai Nguyen, Ph.D.
Mai Nguyen is the Lead for Data Analytics at SDSC. She has industry and academic experience in machine learning, data mining, business intelligence, data warehousing, and application design & development. She has worked in several application areas, including remote sensing, target recognition, personalized medicine, spacecraft autonomy, image analysis, and speech recognition. Her research interests are in applying machine learning to interdisciplinary problems and combining machine learning techniques with distributed computing technologies and platforms for big data applications. As SDSC’s Programs Manager and a member of the Center’s External Relations group, Susan Rathbun is responsible for standardizing a wide range of training and education programs at both the industry relations level and in collaboration with academia and government. Rathbun, who joined SDSC in 2000, also manages a large number of conferences and related events each year at SDSC and other locations. She is involved from the concept and planning stages of a program all the way through to completion and follow-up. Her roles include fiscal management, marketing and content distribution, data base management, and customer relations. Lead, Bioinformatics and Biomedical Applications: Peter Rose, Ph.D.
Peter Rose is the Director of the Structural Bioinformatics Laboratory at SDSC. Since joining SDSC in 2007, his group built the RCSB Protein Data Bank to its current strength as a key resource in biology and drug discovery. He currently works on NIH funded Big Data to Knowledge (BD2K) projects to enable large scale mining of 3D macromolecular structures. Prior to joining UCSD, he held research and management positions at Pfizer La Jolla, formerly Agouron Pharmaceuticals, where he was instrumental in the establishment of the structure-based drug design platform. His research interests include structural bioinformatics, structure-based drug design, 3D visualization, and application of big data technologies and machine learning in bioinformatics and biomedicine. Lead, Business Forum: James Short, Ph.D.
Jim Short is Lead Scientist and co-founder of the Center for Large Scale Data Systems (CLDS) at the San Diego Supercomputer Center. He has taught business strategy, management information systems, and communications theory at the London Business School, Theseus Institute, and the MIT Sloan School of Management. He was also a Belfer Fellow at the JFK School of Government at Harvard University. His current work focuses on topics in data risk and valuation, data growth and business analytics. He holds S.B., S.M. and PhD degrees from MIT. Chaitan Baru is a Distinguished Scientist and research staff member at SDSC. He is a data scientist interested in large-scale data systems, scientific data management, service-oriented architectures, data integration, and parallel database systems. He has played a leadership role in a number of national-scale cyberinfrastructure R&D initiatives across a wide range of science disciplines, including earth sciences, ecology, biomedical informatics, and healthcare. He initiated the Workshop series on Big Data Benchmarking (WBDB), which facilitates industry/academia collaboration in defining big data benchmarks. He co-chairs the SPEC Research Group on Big Data. Baru is currently on assignment as Senior Advisor for Data Science in the CISE Directorate at the National Science Foundation. 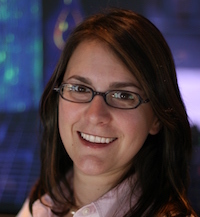 Jessica Block is a Research Analyst with Calit2 at UCSD. She is an interdisciplinary geologist and urban ecologist specializing in the use of sensor networks, remote sensing, and geospatial visualization tools for disaster response, natural resource management, policy decision-making, and sustainability. She is an expert in the management and fusion of datasets from disparate sources, and uses visualization technology as the bridge between University research and the needs of community members. She has a BS in geology from UCLA, and a MS in geology and urban ecology from Arizona State University. Her research in environmental sustainability has covered regions in the American West, Southeast Australia, Peru, and Mexico where growing populations depend on increasingly unstable resources in the face of climate change. 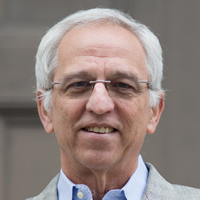 Roger Bohn is a professor of management and has been on faculty at the School since 1992. His research began looking at technological knowledge — what it is, what is does and how to develop it — and has extended into looking how aviation, and by extension all other important technologies, have shifted from the realm of art to the realm of science over 80 years. Jennifer Burney is an environmental scientist whose research focuses on simultaneously achieving global food security and mitigating climate change. She designs, implements and evaluates technologies for poverty alleviation and agricultural adaptation, and studies the links between “energy poverty” — the lack of access to modern energy services — and food or nutrition security, the mechanisms by which energy services can help alleviate poverty, the environmental impacts of food production and consumption, and climate impacts on agriculture. Sandeep Chandra provides strategic vision, direction, management and implementation of concepts and methodologies for building Sherlock’s technology platforms. He brings strong knowledge of the healthcare ecosystem with deep focus in compliance including NIST, FISMA and HIPAA requirements. 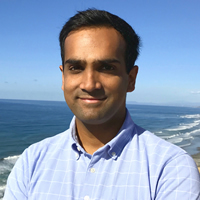 Sandeep leads Sherlock’s outreach and growth activities to expand the center's healthcare IT portfolio through partnerships with other academic and federal agencies including the University of California, NIH, and CMS. Amit Chourasia is a Sr. Data Scientist at the San Diego Supercomputer Center and leads the Visualization group. 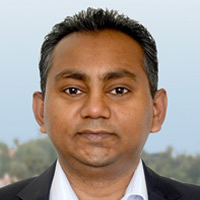 His work is focused on research, development and application of software tools and techniques to enable insight and discovery through use of visualization. Chourasia has worked on a very broad array of projects in many disciplines including astrophysics, biology, climate and seismology. He is also a Principal Investigator for the SeedMe project to develop a rich data-sharing platform. 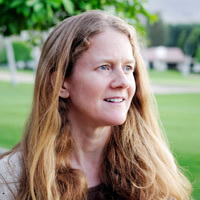 Kimberly Claffy ("kc claffy") is founder and director of the Center for Applied Internet Data Analysis (CAIDA), a resident research scientist of the San Diego Supercomputer Center at UC, San Diego, and an Adjunct Professor in the Computer Science and Engineering Department at UC, San Diego. Her research interests span Internet topology, routing, security, economics, future Internet architectures, and policy. She leads CAIDA research and infrastructure efforts in Internet cartography, aimed at characterizing the changing nature of the Internet's topology, routing and traffic dynamics, and investigating the implications of these changes on network science, architecture, infrastructure security and stability, and public policy. Dr. Daniel Crawl is the Workflows for Data Science Center Associate Director at the San Diego Supercomputer Center, UCSD. He is the lead architect for the overall integration of distributed data parallel (DDP) execution patterns and the Kepler Scientific Workflow System. He conducts research and development of execution patterns, bioActors, and distributed directors. Daniel received a Ph.D. in Computer Science from the University of Colorado. 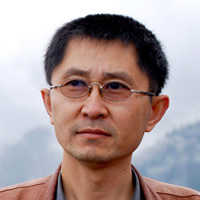 Yifeng Cui is a computational scientist with research interests in high performance computing and data-intensive simulations. He brings expertise in end-to-end simulations, including scalable approaches to handle petascale run-time IO on supercomputing environment. Cui is an adjunct professor at San Diego State University, the director of the Intel Parallel Computing Center at SDSC for Earthquake Simulation. His research work received several prestigious HPC awards and is supported by NSF, DOE, Southern California Earthquake Center, Intel, NVIDIA and Keck Foundation. 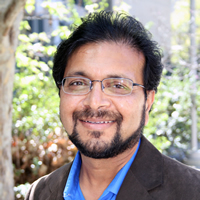 Sanjoy Dasgupta is a Professor in the Department of Computer Science and Engineering at UC San Diego. 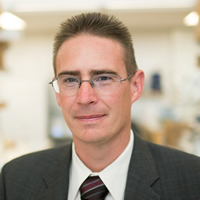 He received his PhD from Berkeley in 2000, and spent two years at AT&T Research Labs before joining UCSD. His area of research is algorithmic statistics, with a focus on interactive learning. He is the author of a textbook, "Algorithms" (with Christos Papadimitriou and Umesh Vazirani), that appeared in 2006. Dr. de Callafon is involved in teaching and research that cover many aspects in signal processing and real-time control. His research interests include topics in the field of data-based dynamic modeling (system identification), parameter and state estimation (data assimilation) and automation (adaptive control). He directs the System Identification and Control Laboratory (SICL) at the Dept. of Mechanical and Aerospace Engineering (MAE) and the Sychrophasor Grid Monitoring and Automation (SyGMA) laboratory at the San Diego Supercomputer Center. The work and the laboratories of de Callafon demonstrate a wide range of data intensive efforts in signal processing and control in both engineering applications (mechanical, audio, aerospace and electric grid systems) and earth science applications (oceanographic and wildfire monitoring). Thomas A. DeFanti, PhD, is a research scientist at UCSD's Qualcomm Institute, and a distinguished professor emeritus of Computer Science at the University of Illinois at Chicago. He received the 1988 ACM Outstanding Contribution Award and became an ACM Fellow in 1994. He and Dan Sandin conceived the CAVE virtual reality theater in 1991. 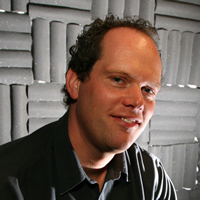 Since coming to UCSD in 2004, he and Greg Dawe built the StarCAVE, NexCAVE, TourCAVE, WAVE, and CAVEkiosk/4KAVE VR systems. With John Graham, Phil Papadopoulos and teams of colleagues, Tom designs and builds 40/100Gbs state-of-the-art wide-area computer networked computing, storage, graphics processing and visualization facilities to serve advanced computing needs. 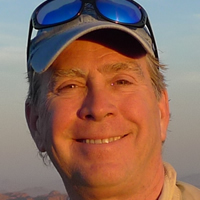 He is co-PI of the NSF Pacific Research Platform project (Larry Smarr, PI). 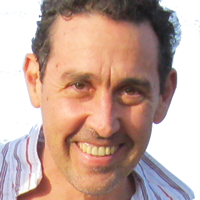 Dr. Javier Girado joined the Qualcomm Institute at UC San Diego in January 2016, where he works in the institute’s newly-created Pattern Recognition Laboratory. 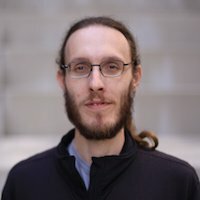 In addition to his experience in software design, development and programming, Girado has roughly 10 years of research experience with face detection and recognition using neural networks and computer-vision techniques. Until 2015, he worked for seven years at Qualcomm, Inc., as a Staff Graphics Engineer. Girado worked extensively on GPU architectures as well as GPU Graphics and Compute for improved image processing. Girado was a postdoctoral researcher in the Visualization group of the California Institute for Telecommunications and Information Technology (Calit2) from 2006 to 2008. In 2003, he earned his Ph.D. in Computer Science from the University of Illinois at Chicago, where Girado worked in the Electronic Visualization Laboratory on algorithms using GPUs. In 1983 he completed a Master’s degree in Electronics at the Instituto Tecnológico de Buenos Aires. Girado was named on three patents while working for Qualcomm, Inc. Ran Goldblatt is a postdoctoral researcher and a lecturer at the School of Global Policy and Strategy at UCSD. His primary research interests are in utilizing Remote Sensing tools to map and understand changes in land cover and land use patterns and their relation to economic development, primarily in developing countries. 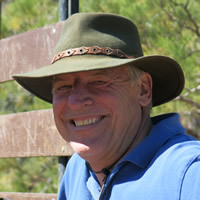 He is involved in a broad array of research projects spanning many disciplines, including mapping the world's urban land cover, understanding industrialization processes in developing countries, revealing the relation between mining activity and spatio-temporal dynamics of forest cover loss, and measuring land degradation in the semi-arid tropics. Ran is teaching a graduate-level advanced GIS and Remote Sensing course at the School of Global Policy and Strategy, UCSD, where he is teaching advanced methods for geospatial analysis at scale. 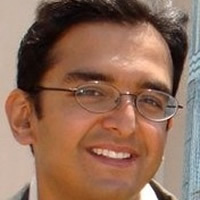 Rajesh K. Gupta is a professor in Computer Science and Engineering at UC San Diego. His research focus is on sensor data collection, curation and analysis issues. His past contributions include SystemC modeling and SPARK parallelizing high-level synthesis, both of which have been incorporated into industrial practice. Earlier Gupta lead or co-lead DARPA-sponsored efforts under the Data Intensive Systems (DIS) and Power Aware Computing and Communications (PACC) programs on role of adaptation in energy efficient system architectures. His ongoing projects related to data sciences are focused on sensor data collection and analysis from commercial buildings and metropolitan networks. 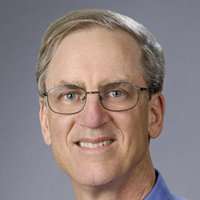 Gordon Hanson holds the Pacific Economic Cooperation Chair in International Economic Relations at UC San Diego, and has faculty positions in the Department of Economics and GPS, where he also is director of the Center on Global Transformation. He is the acting dean of the School and is presently a research associate at the National Bureau of Economic Research, a member of the Council on Foreign Relations and co-editor of the Journal of Economic Perspectives. He is a past co-editor of the Review of Economics and Statistics and the Journal of Development Economics. 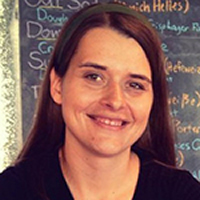 Marta Jankowska is a researcher at QI specializing in complex spatial and temporal data. She is involved in numerous projects that utilize GPS and body worn health sensor data to understand human health behaviors in specific environmental contexts. She is also interested in developing cyberinfrastructures for the secure and rapid analysis of these types of data. She is a specialist in GIS, geodatabases, and spatial data management. 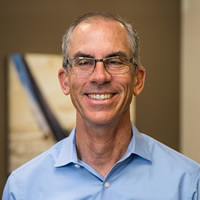 Rob Knight is the founding Director of the Center for Microbiome Innovation, an Agile Center in the Jacobs School of Engineering with the School of Medicine and the Division of Biological Sciences as founding partners, and is a Professor in UC San Diego’s Departments of Pediatrics and Computer Science & Engineering. His lab has produced many of the software tools and laboratory techniques that enabled high-throughput microbiome science, including the QIIME pipeline and UniFrac. He is co-founder of the Earth Microbiome Project, the American Gut Project, and the company Biota, Inc., which uses DNA from microbes in the subsurface to guide oilfield decisions. His work has linked microbes to a range of health conditions including obesity and inflammatory bowel disease, has enhanced our understanding of microbes in environments ranging from the oceans to the tundra, and made high-throughput sequencing techniques accessible to thousands of researchers around the world. 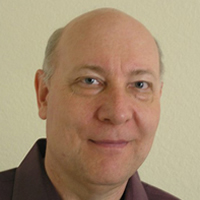 Dr. Ken Kreutz-Delgado is the founding director of the UCSD Calit2/QI Pattern Recognition Laboratory (PRLab) and a Professor in the UCSD Department of Electrical and Computer Engineering. From 1985 through 1990 he was a member of the technical staff at the NASA/Caltech Jet Propulsion Laboratory (JPL) were he was a researcher in the area of advanced intelligent robotic systems. 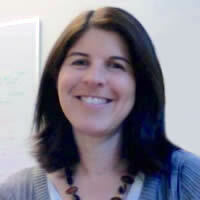 Prof. Kreutz-Delgado has worked in several areas of brain-inspired computation, machine intelligence, and robotics in collaboration with researchers at JPL, the UCSD Institute for Neural Computation (INC), the UCSD Swartz Center for Computational Neuroscience (SCCN), the UCSD Medical School, and the UCSD Calit2/QI Pattern Recognition Laboratory (PRLab). His current research includes the development of statistical signal processing algorithms for sparse source separation and localization of real-time EEG and fMRI for diagnostics and brain-computer interfaces, and the development of deep machine learning algorithms instantiated on non-von Neumann processing architectures. 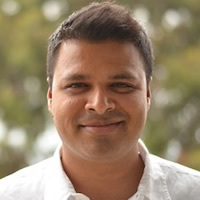 Arun Kumar is an Assistant Professor in Computer Science and Engineering at UC San Diego. He obtained his PhD from the University of Wisconsin-Madison in 2016. His primary research interests are in the intersection of data management and machine learning. Systems and ideas from his research have been adopted by many companies, including Cloudera, EMC, Facebook, LogicBlox, Microsoft, and Oracle. 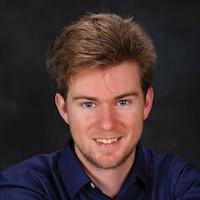 He is a recipient of the Best Paper Award at ACM SIGMOD 2014, the 2016 Graduate Student Research Award for the best dissertation research in UW-Madison CS, and a 2016 Google Faculty Research Award. 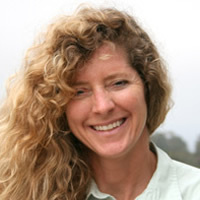 Dr. McAuley has been an Assistant Professor in the Computer Science Department at UCSD since 2014. Previously he was a postdoctoral scholar at Stanford University after receiving his PhD from the Australian National University in 2011. His research is concerned with developing predictive models of human behavior using large volumes of online activity data. 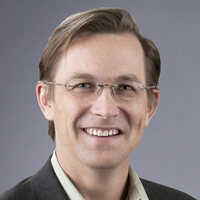 Craig McIntosh is a professor of economics at the School and co-director of the Policy Design and Evaluation Lab. He is a development economist whose work focuses on program evaluation. His main research interest is the design of institutions that promote the provision of financial services to micro-entrepreneurs, and he has conducted field evaluations of innovative anti-poverty policies in Mexico, Guatemala, Malawi, Rwanda, Uganda and Tanzania. Mark Miller is the lead of the Next Generation Tools for Biology program at SDSC. His work is focused on creating software environments that simplify access to codes and data required for phylogenetics and molecular biology. He leads CIPRES project, a highly accessed Science Gateway that provides biologists with access to supercomputers in the XSEDE program. He is also Principal investigator of the SciGaP (Science Gateways as a Platform) project, which is developing hosted, multi-tenanted middleware services that serve as building blocks for new Science Gateways. 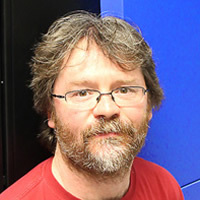 David Nadeau is a senior computer scientist specializing in visualization and high-performance computing. He specializes in very large high-dimensionality data sets for such diverse fields as geoscience, oceanography, astrophysics, and medical imaging. His works visualizing nebulae are featured in planetarium shows from the American Museum of Natural History in New York City. 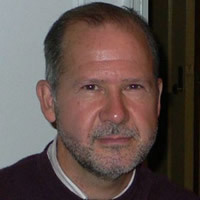 He has taught courses in computer graphics and is the co-author of two books on the subject. 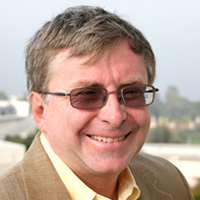 Michael L. Norman is the Director of the San Diego Supercomputer Center and Distinguished Professor of Physics at UC San Diego where he also directs the Laboratory for Computational Astrophysics. He received his B.S. from Caltech in 1975, and his Ph. D. from UC Davis in 1980. After holding appointments at the Lawrence Livermore and Los Alamos National Laboratories, the Max Planck Institute for Astrophysics, and the National Center for Supercomputing Applications, he joined the faculty at UC San Diego in 2000. 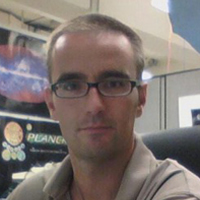 His research focus is the computer simulation of astronomical phenomena using supercomputers, and the development of the numerical methods to carry them out. Leo Porter is an Assistant Teaching Professor in the Computer Science and Engineering Department at UC San Diego. He received his Ph.D. in computer architecture from UC San Diego in 2011 and was an Assistant Professor at Skidmore College from 2011-2014. His Ph.D. work focused on using idle multi-core resources to improve single-thread performance. 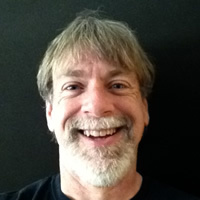 In his work on computer science education research, he is primarily known for demonstrating that Peer Instruction, an active learning pedagogy, results in in-class student learning, reduces student failure rates, and improves retention of majors in computer science classes. He is also known for his development of the highly rated Coursera course (with Christine Alvarado and Mia Minnes) "Object Oriented Java Programming: Data Structures and Beyond" and his research using clicker data to accurately predict student outcomes. 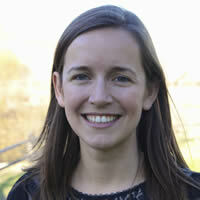 Margaret Roberts is an Assistant Professor in the Department of Political Science. Roberts develops methodologies to better measure and understand the political information strategies of authoritarian governments, with a specific focus on studying censorship and propaganda in China. She has also developed widely used methods for automated content analysis in the social sciences. Scott's research interests include modeling and understanding water resources management in arid and semi-arid regions of the world under different climate scenarios and climate states. He uses many methods, including: numerical weather modeling, object-based methods, machine learning, and data mining algorithms. He enjoys working at the interface between multiple disciplines and policy makers. His research focuses on harnessing hyper-dimensional earth science data from satellites, ground based observations and cutting–edge Numerical Weather Prediction (NWP) models to make progress in modeling and understanding the complex nature of the earth system. Scott is also interested in providing our policy makers and leaders with the most current and top quality scientific information, engineering solutions, knowledge, and technology available so that their decisions will have the highest probability for success. He is working towards this in the fields of hydrometeorology, hydroclimate, computational earth sciences, and water resources by combining his understanding of data science, climate variability and change and its impacts on water resource systems, science communication, and public policy. Robert Sinkovits, Ph.D. leads the scientific applications efforts at the San Diego Supercomputer Center. He has collaborated with researchers spanning many fields including physics, chemistry, astronomy, structural biology, finance, ecology, climate, immunology and the social sciences, always with an emphasis on making the most effective use of high end computing resources. Before returning to SDSC, he was the primary developer of the AUTO3DEM and IHRSR++ software packages used for solving the structures of icosahedral and helical macromolecular structures, respectively. Together with Richard Scheuermann (J. Craig Venter Institute), he co-leads the Human Vaccine Projects Data Management and Bioinformatics Hub. Shava Smallen is a programmer at the San Diego Supercomputer Center at UC San Diego. She currently works on the international Pacific Rim Application and Grid Middleware Assembly (PRAGMA) project, developing a Cloud test bed scheduler and support tools to enable scientists to run application virtual clusters on PRAGMA cloud resources. 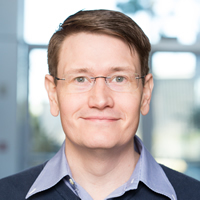 Smallen also is the project lead and developer for the Inca monitoring software tool and principal investigator on the “AMASS – An Automated Monitoring AnalySis Service for Cyberinfrastructure” project to facilitate science gateway use of cyberinfrastructure resources. She also is the deputy director for the Requirements Analysis & Capability Delivery (RACD) group in XSEDE, which uses best software engineering practices to deliver high quality software thru XSEDE Operations to Service Providers, End Users, and Campuses. Karen Stocks is the lead of the Geological Data Center (GDC) at Scripps Institution of Oceanography, which has a mission to archive and provide access to marine data, particularly from SIO vessels. The current projects of the GDC include: 1) Rolling Deck to Repository, an effort to capture, document, and submit for archive underway data from the US fleet of academic research vessels; 2) supporting the IT needs of the International Ocean Discovery Program, including a database and portal for scientific drilling data; 3) the SeaView project, working to make the data from five oceanographic data repositories more usable and interoperable; and 4) curating 50+ years of SIO vessel data, both digital and analog. Her experience includes information systems for biodiversity and biogeography, metagenomics, and ocean observing systems. Stocks received her PhD in Biological Oceanography from Rutgers University in 2000. Dr. Vernon's current research interests are focused on developing distributed networked real-time sensor networks in terrestrial and marine environments. Currently he is the Director for the USArray Array Network Facility for the NSF EarthScope program. This network currently has over 500 stations using seismic, acoustic, and atmospheric pressure sensors delivering real-time data to UCSD, which are redistributed to multiple sites. The ANF is responsible for real-time state-of-health monitoring for the network in addition to the real time data processing, archiving, and distribution. Data are acquired over multiple types of communication links including wireless, satellite, and wired networks. Dr. Vernon is also the PI on the ANZA broadband and strong motion seismic network, co-PI on very dense seismic deployment around the San Jacinto fault zone, and PI on the HPWREN program creating a large-scale wireless high-performance data network and research test bed. Volkan Vural received his B.S. degree in Electrical and Electronics Engineering from ODTU in Turkey. He completed his Ph.D. in Statistical Machine Learning at Northeastern University in Boston. During his Ph.D. studies, he worked with the Computer Aided Diagnosis Group at Siemens Medical Solutions where he developed machine learning algorithms to detect lung cancer, colon cancer and pulmonary embolism. He also has over five years of software development experience in the financial technology industry, during which he led a team of six. 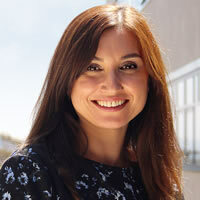 Dr. Vural is currently a Computational Data Science Researcher at the San Diego Supercomputer Center, UCSD. Nancy Wilkins-Diehr is an Associate Director at SDSC, the PI of the Science Gateways Community Institute and co-director of XSEDE’s Extended Collaborative Support program. She has been involved in science gateways and their interfaces to high-performance computing since 2003. Nancy received her Bachelor’s degree from Boston College in Mathematics and Philosophy and her Master’s degree in Aerospace Engineering from San Diego State University. She has been with SDSC since 1993. 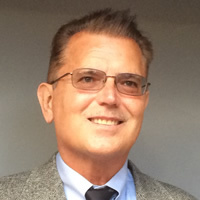 Frank Würthwein is the Executive Director of the Open Science Grid, a national cyberinfrastructure to advance the sharing of resources, software, and knowledge, and a physics professor at UC San Diego. He received his Ph.D. from Cornell in 1995. 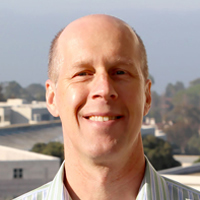 After holding appointments at Caltech and MIT, he joined the UC San Diego faculty in 2003. His research focuses on experimental particle physics and distributed high-throughput computing. His primary physics interests lie in searching for new phenomena at the high energy frontier with the CMS detector at the Large Hadron Collider. His topics of interest include, but are not limited to, the search for dark matter, supersymmetry, and electroweak symmetry breaking. As an experimentalist, he is interested in instrumentation and data analysis. In the last few years, this meant developing, deploying, and now operating a worldwide distributed computing system for high-throughput computing with large data volumes. Andrea Zonca has a background in Cosmology, during his PhD and PostDoc he worked on analyzing Cosmic Microwave Background data from the Planck Satellite. In order to manage and analyze large datasets, he developed expertise in Supercomputing, in particular parallel computing in Python and C++. At the San Diego Supercomputer Center he helps research groups in any field of science to port their data analysis pipelines to XSEDE supercomputers. Andrea is also a certified instructor of Software Carpentry and teaches automation with bash, version control with git and programming with Python to scientists.